Les Zigomanis is a Melbourne-based writer. He's had three novels published, and three screenplays optioned. He is also co-host of The Collingwood Rant, a football show about Collingwood screened weekly on YouTube. I heard the most astonishing comment on Friday night. 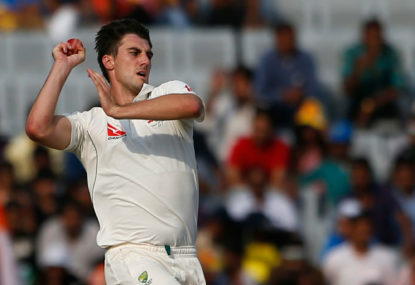 Following India’s victory over Australia in the Border-Gavaskar Test series, I’m surprised that the focus is primarily on Australia’s batting order. The suggestions currently doing the rounds to clear congestion are mind-boggling. Zones, capping rotations, reducing the amount of players on-field – what’s next? Free kicks would help disperse congestion. It’s that simple. Players. You will not get anywhere in football without them. The best coach in the world will do nothing without the right players. With the home-and-away season a day away, here are ten things I want to see from Collingwood in 2018. Watching the Collingwood-Melbourne AFLW game on Saturday, three things came to mind. Wow. 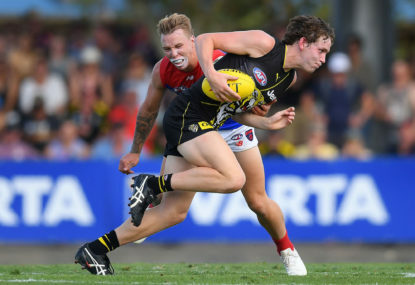 What a marvel of foolishness AFLX is – testament to the stunning fact that even though the AFL run the game, they have very little understanding of their own product. Born 20 September 1961 to Macedonian parents, Peter Daicos grew up a South Melbourne supporter with a passion for football. 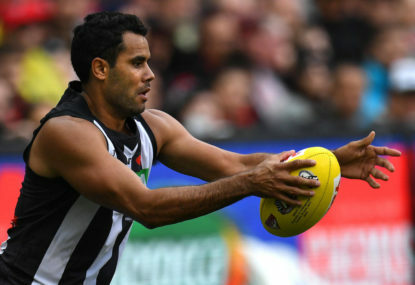 Collingwood is doomed to miss the finals for a fourth successive year, and are set for a lowly finish. 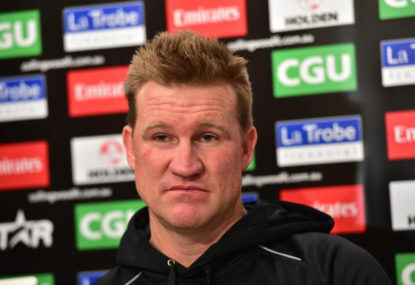 On Footy Classified on Monday night, Craig Hutchison and guest panelist, Collingwood coach Nathan Buckley, argued about ‘door-stopping’ – effectively, players being ambushed for an interview. Hutchison wanted greater access. 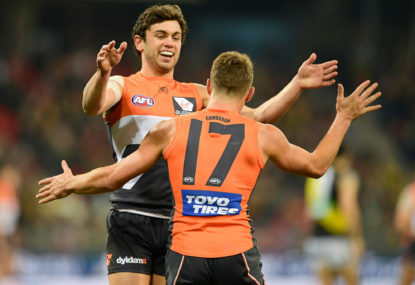 Here we are, approaching the halfway point of the season: brace yourself for the declarations that thanks to the AFL’s rule changes football this year has been the greatest spectacle ever. 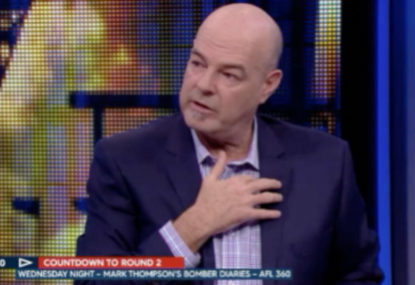 By now everybody would know about Mark Robinson’s ridiculous tweet concerning Collingwood’s Alex Fasolo. 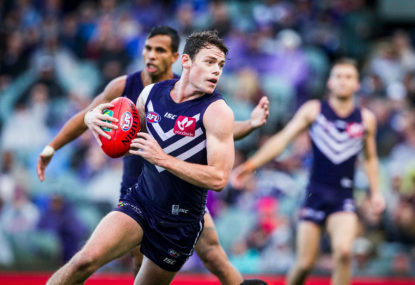 Saturday was the annual Good Old Collingwood Letdown. It’s a simple question, but not one that’s often explored in popular media. About as close as you’ll get is if some caller to talkback suggests they thought the umpiring was one-sided. I used to keep scrapbooks of Collingwood’s seasons. I’d read all the newspapers, cut out any Collingwood-related articles, and paste them into these huge yellow scrapbooks I bought from the newsagent. 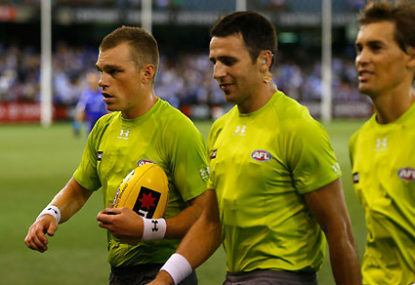 How is it that Collingwood lack basic skills? I’m not one to sit there and dissect strategies, match-ups, and that sort of thing. I really just know what I see and what I understand in that moment. Last year, I questioned Collingwood’s direction and Nathan Buckley’s capacity to take the next step with the club. In the off season, for a variety of reasons, I’ve had something of a change of attitude. 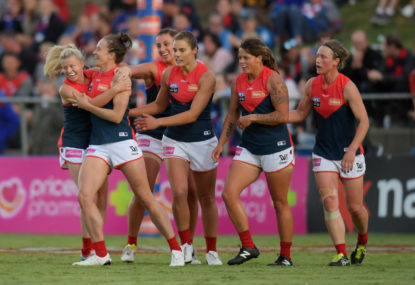 Anybody who bashes the women’s AFL league on the basis of quality is ungracious. What annoys is the way they introduce a new rule to remedy another rule that wasn’t being applied, e.g. hands in the back was introduced because the interpretation for push in the back (during a marking contest) became lax. You’ve inferred a couple of points that I haven’t made. I’m not blaming the umpires if a player lays a head-high tackle, or if they push somebody in the back. My point is you need fixed interpretations. They can’t vary from game to game. The uproar comes from the inconsistent application. But they’re all 6 now, aren’t they? Importantly, even though Test cricket spawned One-Day cricket, and now T20, the rules have remained standard throughout all three forms. You’re right, but the format changed for all forms of cricket. On Daics, while he’s held in high regard, I think he should be recognised even more highly. Tony Shaw recently rated Collingwood players, and said if not for Daicos’s injuries, he’d be mentioned in the same breath as Gary Ablett Sr.
Often, modern small goalkickers are compared to Daicos. which I find bemusing. 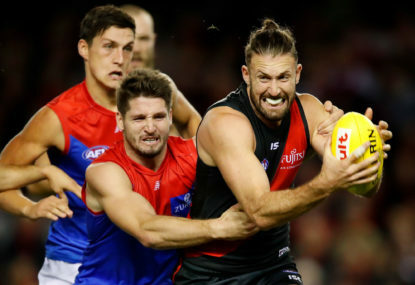 While those players are great in their own right, Daicos was a once-in-a-generation player — not quick (but not as slow as made out), beautifully balanced, sublimely skilled, equally skilled on both sides of the body. He should be remembered with the ‘greats’, but never factors into those conversations. No, if you saw Tayla Harris’s mark against Fremantle, or Kate McCarthy’s five-bounce goal, you’d know there’s some legitimate highlights. And that’s absolutely fine, Mike. Nobody’s saying you should like it for the sake of liking it. The article is aimed more at people who are disliking it for the sake of disliking it. You’re entitled to your criticism. 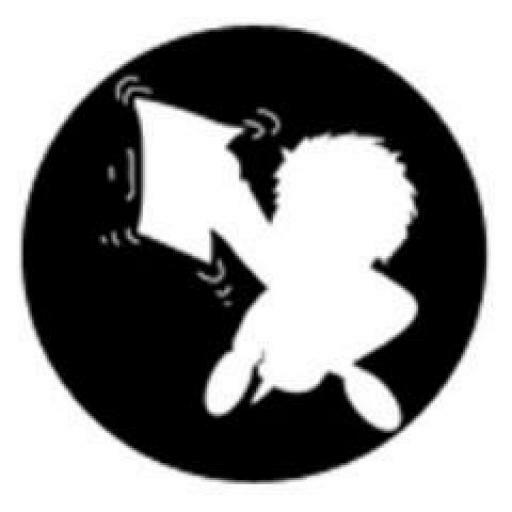 But (and this isn’t aimed specifically at your comment) be justified in making it. I do know people who criticise the AFLW for the sake of criticising. I also know people who went into watching it expecting some elite showcase of skill and talent, and then disdained it because they didn’t get it. It’s a new competition. It’s going to take time to find its feet. You can dislike it for whatever justifiable reasons you might have, but I do know a number of people who deride it for the sake of deriding it. It’s going to get media attention. It’s a new competition breaking ground. Eventually, it will be up to the competition to warrant the attention, but right now I think it deserves its exposure. They’re started to play a few reserves games before the seniors, e.g. last year at Collingwood vs Carlton, the reserves played first. I think the AFLW would make a good curtain raiser. The thrust is simple. It’s rough because it’s starting out. People run around complaining about the standard. Give it time. As for the complaints re the AFL, there’s been criticisms in recent seasons that not enough goals are kicked. Apparently, a high-scoring game is a good game. A low-scoring game with packs, etc., isn’t I don’t subscribe to that. A good game is a good contest, regardless of score, as opposed to this trend of playing football like basketball. Thanks, BigAl. I think he likes to play it up at times, but it’s all part of being a character — something he values in football’s audiences. Thanks, Penster. He’s definitely gracious with his time. And you nail it: he turned ‘great adversity in his own life to help others’. I know he likes to try pass that message on. Hi, Gyfox. Yep, you’re right. Joffa does work for the Salvation Army, which makes his charity work so amazing. He’s constantly looking at giving back to the community. Thanks, AdelaideDocker. That’s the beauty about football — the way it does appeal across the board to all different types. Exactly, Paul. He is the nicest, humblest guy when you meet him, which isn’t always the way he’s portrayed. Thanks, mds1970. Yep. Exactly. Joffa’s a great example of somebody who used what’s happened in his life in a constructive way and to help others. Thanks, Milo. Love the game and the stands when it’s full of good-natured characters. My biggest concern is that four years in, and we haven’t seen a sustainable gameplan. It’s reliant, so far, just on frenetic pressure. 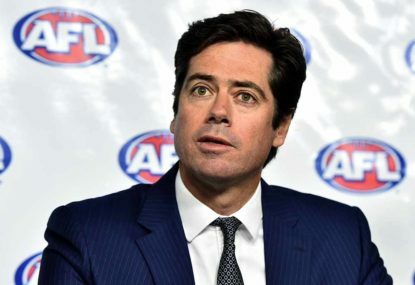 I’m hoping it will click once the kids get more experience but, by now, I would’ve hoped we would’ve seen something that was emblematic of Collingwood. You could be right that Collingwood had more premiership success left in it. Unfortunately, it’s not something we’ll ever know for sure, and now we’re left with trying to get it right somehow. I understand rebuilding fine. But Malthouse was in his tenth year as coach when I had these thoughts. I was proven wrong that Malthouse would get there — he did, in his eleventh year. 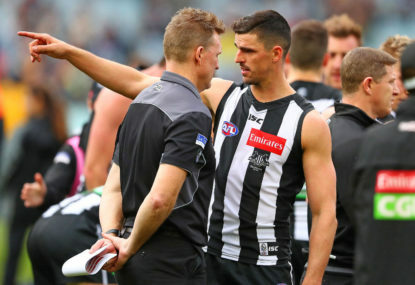 I don’t know of any other coach who’s been given that time — with all the resources Malthouse had at Collingwood — to win a flag. So, yes, at that time I would’ve happily made a change. Obviously, Collingwood thought similarly at that time, because they implemented the succession plan. And once Buckley became head coach, he was determined to rein in a rampant culture, which is why so many of these ‘loyalists’ were moved on. I don’t think Nathan Buckley was underrated by his own supporters, but the media constantly qualified how good he was by saying he only shone because he was in a bad team, whereas with somebody like Chris Judd at Carlton, for example, they said he shone *despite* being in a bad team. Mike Sheahan regularly had Buckley down his list of Top 50 players, and didn’t rate him Number 1 until 2004. When people talk about greats of the game, how often do you hear Buckley’s name mentioned? He was amongst the best players I saw, but doesn’t even feature in these conversations in the media. Thanks, Katfish (and Jack). 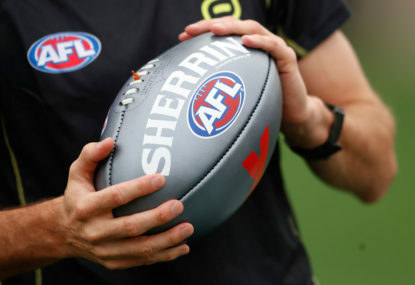 The way the holding the ball has come to be treated continually appalls me, and it’s deterioration has made the game more like rugby than ever.